Faced with investor pressure, food service provider Aramark announced January 23, 2019 that it plans to put into effect a no-deforestation commitment by 2025. As a result, Green Century Capital Management withdrew its shareholder resolution it had filed with Aramark. The company, headquartered in Philadelphia, says it will implement a No Deforestation, No Peat, No Exploitation (NDPE) policy throughout its global supply chain. Its first action will include an assessment of its supply chain this year in all markets where it is operating in order to better understand where deforestation threats are. Aramark is seeking to curb both legal and illegal deforestation in the commodities it uses, which include soy, palm oil, beef and pulp/paper. By June 30, 2019, Aramark plans to source palm oil from only suppliers that are certified by the Roundtable on Sustainable Palm Oil (RSPO). Aramark, which serves two billion meals per year, sources supply from various markets including Latin America, where deforestation risks are high in key producer countries. In Brazil, for instance, the combination of rising soy exports to China and the new presidency of populist Jair Bolsonaro may lead to increased deforestation risks. On the other hand, the Cerrado Manifesto has gained momentum among key players. The Manifesto calls on soy producers, investors, fast-moving consumer goods (FMCG) companies, and retailers to commit to zero deforestation in the Cerrado. Some 70 downstream companies signed the Cerrado Manifesto Statement of Support, in addition to 50 investor signatories. “We have a long-standing commitment to advancing sustainable sourcing practices in a way that minimizes impacts to people, animals, and the environment; we are proud to announce our commitment to address deforestation in our supply chain by 2025,” said Aramark Vice President of Sustainability Kathy Cacciola in a statement. 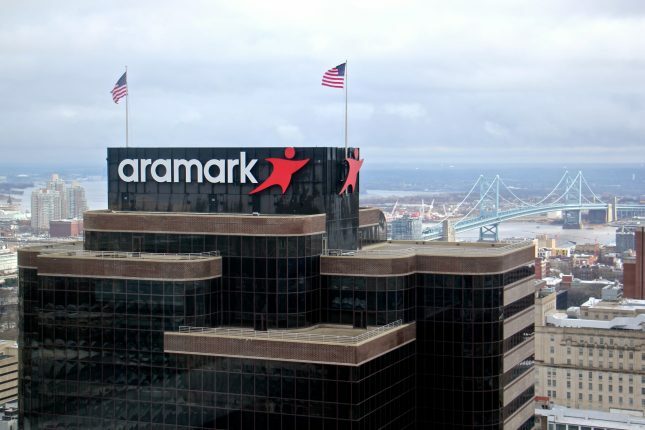 Aramark’s commitment will likely reduce reputational and financial risks for the company. Besides Green Century’s engagement, NGOs and other investors have pressured the food service provider to overhaul its sustainability policies. For instance, the New York State Common Retirement Fund also filed a shareholder resolution with Aramark, urging the company to follow its peers in increasing ambition to boost transparency and curb deforestation. Competitors such as French Sodexo and British Compass Group have committed to net-zero deforestation in their agricultural supply chains. CDP Forests gave Aramark an F grade in 2017 for its actions through all soft commodities and labeled it as “high risk” for financial institutions. Green Century has been active in persuading companies along the agricultural commodity supply chain to bolster their no deforestation commitments. For instance, after Green Century, along with the New York State Common Retirement Fund, engaged with Bunge last year, the major soy trader strengthened its policies to reduce connections with deforestation in Brazil.